"The simple, inspiring, poetic" Giving Key is one of my recent loves. This is no ordinary key, it's a key engraved with a word that will wrap around your neck - what's most touching is that these keys are made by people that are transition out of homelessness. The company employed them to help them get off the street and give them a chance at a better life. The story also goes at some point in time, you "must give it away" to the person you feel needs the word on there. 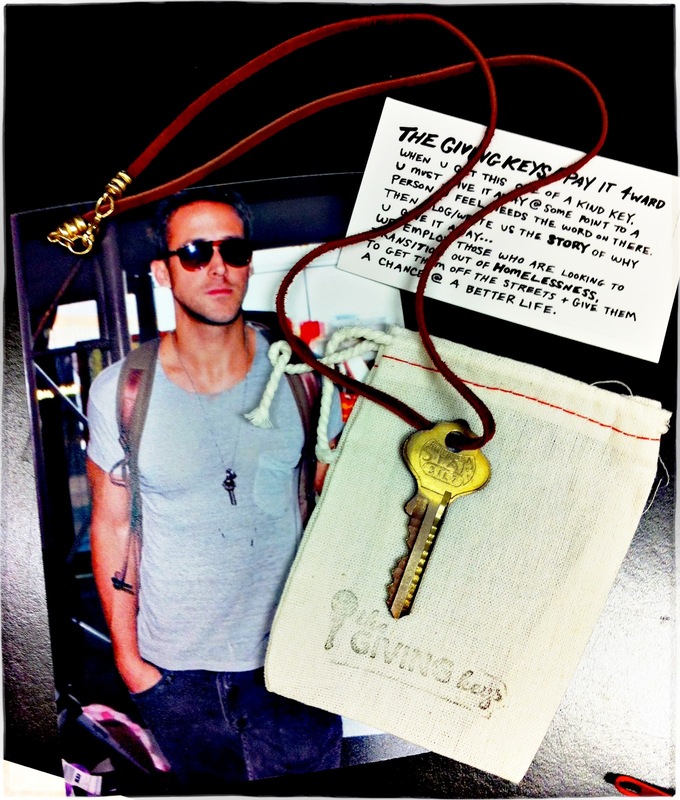 As seen worn by celebrities like Ryan Gosling, I also got MY personal key with the word "wish" engraved on it (shown on the right). Read more why VOGUE Italia also love "The Giving Keys"
People in YYC, you can also find these lovely The Giving Keys at Jack and Elliot in The CORE Shopping Centre.